As part of the Art + Research Center’s Summer Intensive 2017, Reverend Houston Cypress will present a free public lecture. Admission is free with required RSVP. By being visible, and cultivating connections with environment and history, gender diverse people from indigenous communities remind us that possibilities exist for a more inclusive Circle of Life. Reverend Houston Cypress is a poet, artist, environmental activist and ordained minister. 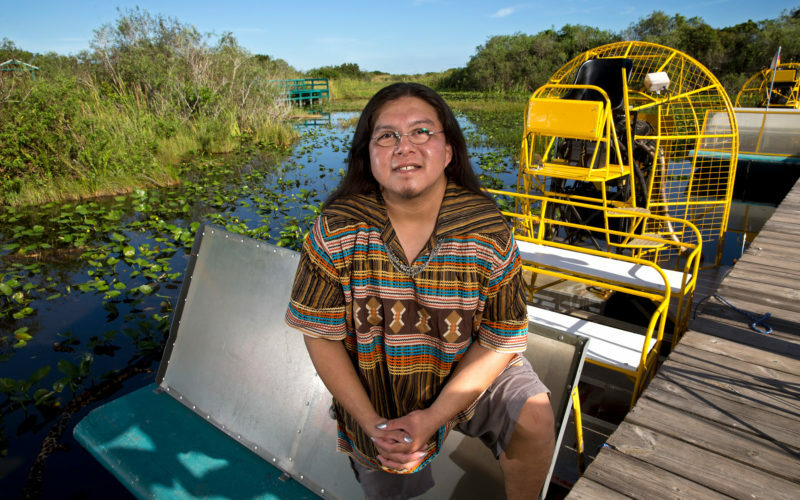 Through his organization, Love the Everglades Movement, Cypress has become a major force within Miccosukee society as an advocate for cultural preservation, environmental protection, business development and sovereignty. Cypress also acts as a cultural ambassador, leading the way for meaningful exchange and connection between his society of clans and the outside world.